Malala Yousufzai case: Pakistan identifies Taliban militant Ataullah Khan as "principal suspect"
ISLAMABAD Pakistan has identified a young Taliban militant who remains at large as the lead suspect in the shooting attack earlier this month that left Malala Yousufzai, a 14-year-old schoolgirl, hospitalized with multiple bullet wounds. The Pakistani Taliban claimed responsibility for sending a gunman to try and kill Malala as she rode home from school on Oct. 9. She rose to prominence for her public demands for women's right to an education in Pakistan - a demand that led the Taliban to accuse of her "obscenity." Ataullah Khan, a university science student in his early 20s was described by a senior Pakistani intelligence official as "the principle suspect who stitched together the plot" to target Malala where she and her family lived in in Pakistan's northern Swat Valley. A senior government official also confirmed to CBS News that Khan was the prime suspect in the case. A second Pakistani intelligence official told CBS News that investigators believe Khan may have crossed the border into Afghanistan after the shooting brought the Taliban's effort to reclaim control of Swat. The militant group, which has known links to al Qaeda, was largely forced out of the picturesque valley in 2009 by a large-scale Pakistani army offensive. In an effort to draw Khan back across the border, officials say his mother and his fiance have been taken into custody by Pakistani authorities. Separately, a senior government official in the northern city of Peshawar - the provincial capital of the Khyber-Pakhtunkhwa province where Swat is located, told CBS News on Wednesday that at least eight people remained in custody in connection with the shooting. At one stage, said the official, up to 20 people had been detained by police as the investigation into the shooting ramped up. "These suspects were brought in for questioning, but many were released when they were cleared by the security forces," said the official. "The investigations have made important headway. We believe the militants will not be able to run very far." The Pakistani officials spoke to CBS News on the condition of anonymity, as they were not permitted to discuss the ongoing investigation. 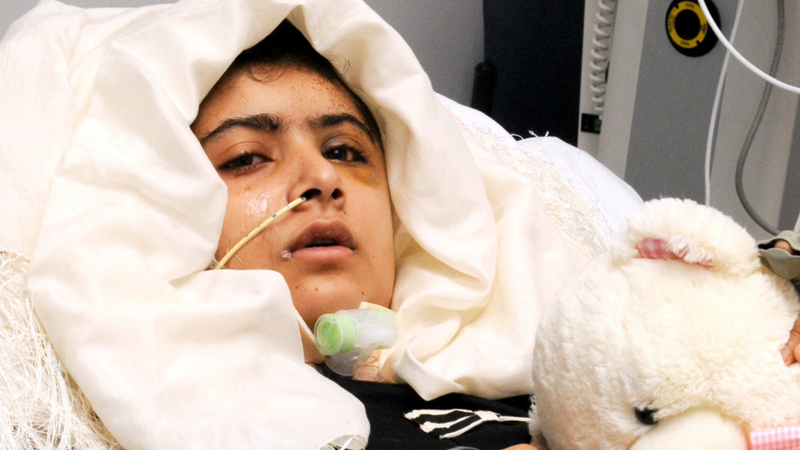 Malala continues to make steady progress at a hospital in Birmingham, England, according to doctors treating her injuries, which included a bullet entering her skull at close range and becoming lodged near her spine. CBS News correspondent Charlie D'Agata reported last week that she had come out of her medically-induced coma and was able to stand and speak. She said she did have some recollection of the attempt on her life. Malala's family remained in Swat when she was flown to Birmingham for advanced medical care, and a Pakistani government official told CBS News one of the main reasons they were asked to stay behind was to help police investigating the shooting. The official said Wednesday that the identification of Khan as the primary suspect would likely clear the way for Malala's parents to join her in England in the near future.